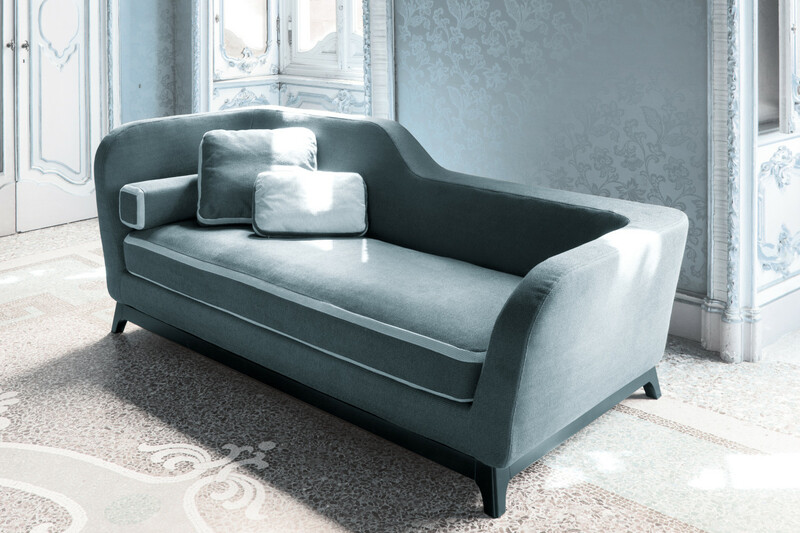 Jeremie is a 3-seater dormeuse sofa with shaped backrest. A one-piece cushion fills the whole seat and provides a great comfort, also thanks to its feather padding. 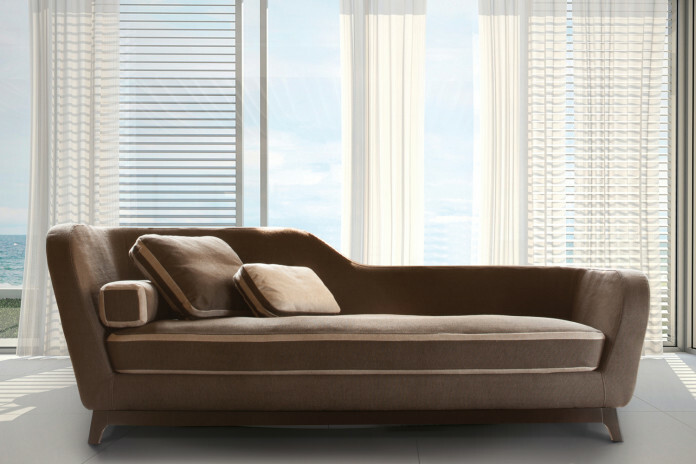 The sofa is available with a wide range of covers in many colours; fine leathers, elegant eco-leathers and handy fabrics. The cover can also be decorated and enhanced with edging in a contrasting colour. 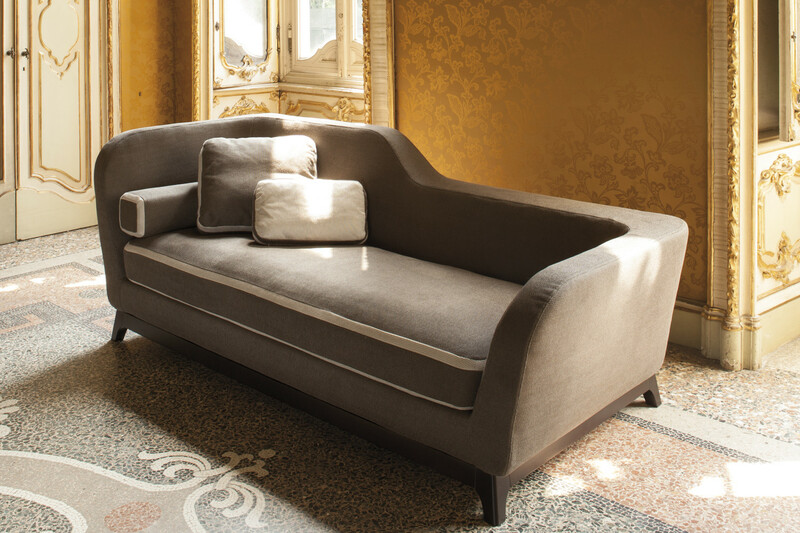 The sofa customisability is also given by its wooden base with feet, that can be chosen painted in a wengè tone or lacquered in any RAL colour. 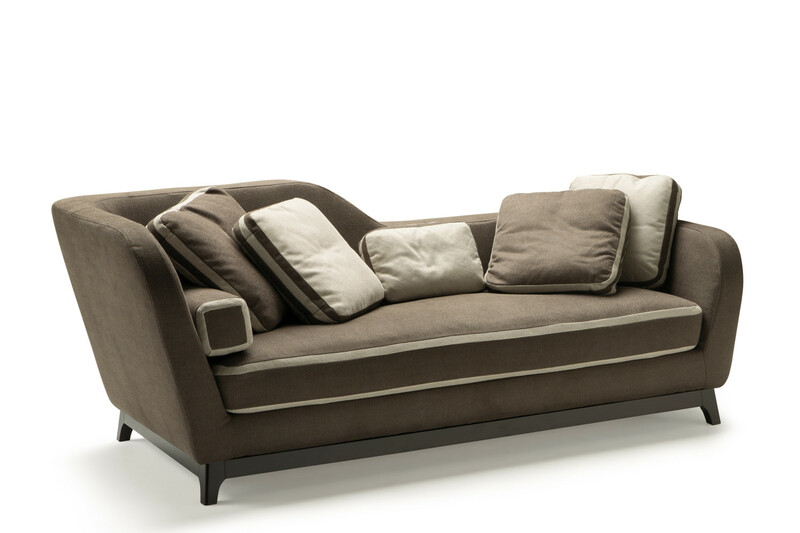 Jeremie is a sofa with a classic timeless design, reinterpreted in a modern way. 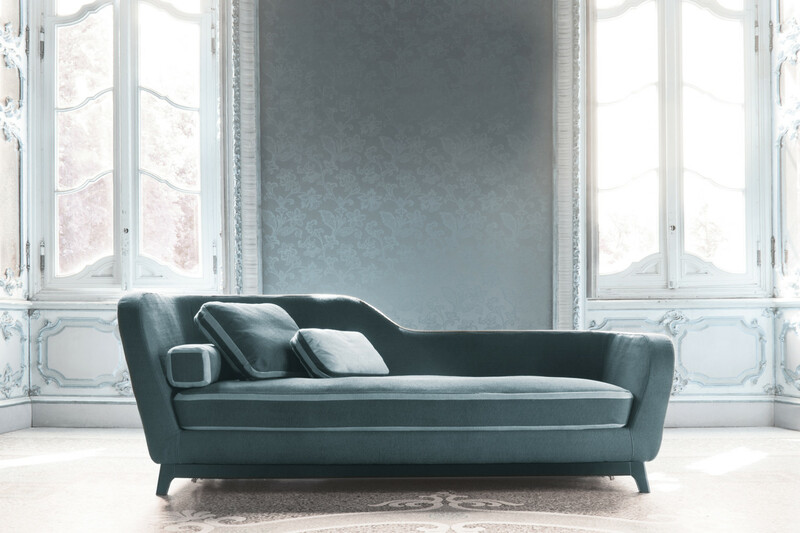 Depending on the colours you choose, the sofa is perfect to suit any taste and environment, exclusive luxury houses, young and modern sitting rooms, or even trendy contract environments. 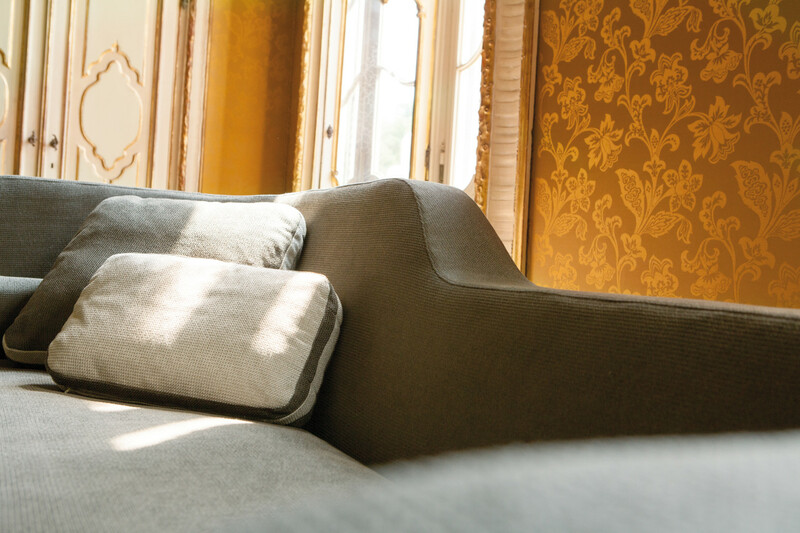 The high quality of its materials, the great care in its manufacturing, and its refined details, make Jeremie a sofa with a high aesthetic value. Jeremie sofa is available in fabric, leather and eco-leather in a wide range of colours displayed in the samples page. 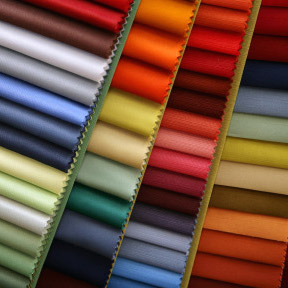 The cover has a uniform surface, without stitching or seams. To obtain this effect, the materials are cut in an oblique way only. The sofa bed base is made up of natural or wengé painted solid beech wood, also available lacquered in one of the RAL colours. Mechanism or structure: high resistance furniture tube, oven coated with epoxy powders. Base made of plastic coated electrically welded steel mesh, fixed to the structure with springs . Soft seat with elastic webbing.